Eeek! I'm so excited to have my very first sponsored giveaway for you from Blowfish Shoes! I'm sure you've seen many, many bloggers donning different styles of Blowfish Shoes around the web, and I am no exception! I have the Gimmiks and I absolutely love them (look for them in this week's Weekly Wears post). They are comfortable, cute, and go with just about everything I own! To enter, you must first be a follower of this blog. After that, all you have to do is visit the Blowfish website and leave a comment saying which shoes you would choose! 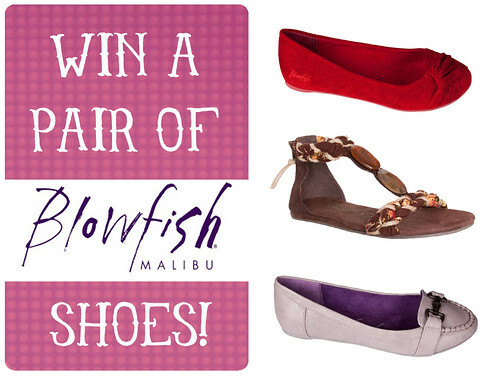 "Enter to win your choice of @BlowfishShoes on @skunkboy's blog! http://skunkboycreatures.blogspot.com/"
also entered on twitter @missteefeylee as I just can't get the Garren wedges out of my mind! Loving the Haporo boots in grey flannel! <3 Is it so wrong I'm already looking forward to Autumn? I would go for the naked. Love me some maryjanes!! I love the Saul or Hassock shoes! Would love to have the Garren or the Gimmick in black! What a great giveaway! wow. a lot to choose from... but i'm currently in the market for wedges so i'd probably get the rescue wedge in white, or the roman in black. off to share the giveaway! love. I follow on GFC! I'd get either the Nella or Naina flats if I won. I love the gimmicks hands down! Love Saul & Brandi! Thanks for the awesome giveaway!! The Habbit pair are the cutest! I would love the nella flats :) fingers crossed I win. Following Blowfish on twitter now! Ooooh - shoes! A girl can never have enough cute shoes. I love the Blyth design - soooo cute! I would get the Vance booties in 'Undefined'. I don't know if I would pick the Gimmicks or the Butter wedges. Both are so amazing! I'm not sure I can live without the Romans. So adorable! I "liked" Blowfish shoes on Facebook! I am seriously loving those wedges. I love the Wellington boots! I love the White Emma Floral Fab Sandbox flats. Cutest shoes ever! I follow on twitter and tweeted about it. cute cute cute, I'm eying up those Hazmitten. If so, i'm in! I love the Bluyh Wedges in Grey. I love the "Central" flats! The Blyth heel/bootie shoes would be my first choice, but they are all so pretty! And I've liked them on FB, too. I love the garren wedges! sooo want those wedges for my cali trip! I love the Butter wedges in Red Hot Street Denim Fab - gorgeous! And I follow Blowfish on Twitter. and just tweeted about it! How amazing would it be to win a pair of shoes!!! I would love a pair of the Habbit boots! I follow Blowfish on Twitter now! I love the Saul flats! Oh my heart! I NEED these Wang in Grey. Such a dream. I need to snag these for my fall ensemble. I would get the Junction shoes in grey! I want the Moscow sandals! They are so cute! I really like those Brandi boots. So cute! I love the brodie and harmana boots for fall! I love boots! I had such a hard time choosing! I'm following your blog, and I would get the Ha Ha shoes in grey 2 tone flannel. welll, this is a tough choice. I would normally choose flats if I was purchasing them (for more wear) but a giveaway gives me the freedom to be adventurous! I like their boot selection. But I'm going to have to choose the Butter wedges in red! Very cute. I have a confession, I've got a little crush on Fall - I'm loving the Hamish boots - or maybe my ankles are just cold. I would choose the sandbox flats in the white emma floral fab!! I would love the Gimmick wedges! "Liked" Blowfish shoes on Facebook! I would love a pair of 'Explode' as they would go best with what I wear! Eee, awesome giveaway!!! I love Blowfish shoes so so much!!! I AM a follower of your blog (and have been so for a long time) and I would choose the: Charotte shoe. SO PRETTY!!! I am a follower. I'd get the Vance booties! I think I'd get the Haparo boats in flannel! I'd either get the Nice flats in White Emma Floral Fab, or the Naked flats in either Red or Violet. Love it! I also like Blowfish shoes on Facebook! Crossing my fingers- I love their shoes! The Wichita shoes are pretty dang cute! I would get either the Roman wedges or the Hudd flats! ooh, great giveaway!! I'm loving the Naina flats in black cord, that would be amazing to win. Soo, I'm totally a follower!! "like" 'em on Facebook too!! Ooh, I'm loving the newtons. Thanks for a chance at them! I love the Hazmitten boots, so cute! i am a follower :) i'd love to have the habbit boots in the rust color! So fun! I seriously need more open-toe shoes, so the Skarla flats would be perfect! I'm a follower on Google Reader! I would love to get the Rescue wedges. I follow Blowfish shoes on twitter! My name over there is melsundquist. I like Blowfish on Facebook! My name there is Melesa Jean Sundquist. I would choose the garrens in black or the nice flats in floral! I've been in love with the blowfish Harnish boots for quite sometime. I never have enough cash when I remember how much I love them. I like blowfish on facebook, also. Not sure how to link that, but I promise I did! ...and last but not least I'm following @blowfishshoes on twitter as well. Phew, I'm on a roll. i follow with bloglovin and i love the rescue shoes! I love the Nice flats in Black Emma Floral Fab! They're so cute and versatile! I've wanted a black pair of Garren wedges for soooo long! Following on Blog Lovin'. I really want their hamish boots for the winter. But there are so many great designs for the summer. i think i'd choose the nice flats in floral! they're so cute and i think they'd totally dress up a pair of jeans! Oh I love the Valora boots! They are perfect for fall! I'm a follower! I'd love some flats. The Nellas are adorable! I follow Elise on twitter! I absolutely love the Stella and Nella in black.. I love the Garren shoes!! I follow blowfishshoes on twitter! I'd go for the wheaton booties! So cute! I just started following you via Google! I've been dying for a pair of Blowfish shoes!!! I LOVE the Roman wedges!!! 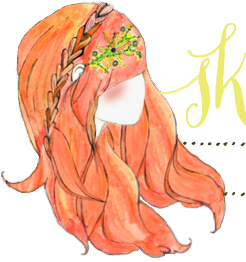 I'm a follower of this blog and I neeeed some blyths! I love those red shoes. I need a new pair of red flats. I'm a follower! i'd choose the sandbox shoes. so cute! beacher, blyth, or georgia. apparently i can't make up my mind. I love the Nice flats in the pretty black floral. I like Blowfish on Facebook, too! I'd pick Hassock. They're so cute! I follow! Loving the Hassock flats! Following via Google Friend Connect! I love the Garren wedges. I'd wear them ALL the time! I 'like' Blowfish on FB, too. I am loving the Garren heels! I just "liked" Blowfish Shoes on facebook! I'm a fan of the Makai in the whiskey color. I've been on the hunt for a nice pair of brown sandals - these fit the bill! Just followed Blowfish shoes on twitter! Tweeted about the giveaway! @saranoelw I'm so excited! Oh I love the newton flats! I really need a new pair of flats! Amazing giveaway! Glad you are accepting sponsers. I love the hassock shoes. I'd be thrilled to have them! Just liked Blowfish Shoes on Facebook. I also love those butter wedges! So hard to choose! I love the Bonvelle in black! So cute! I love the Nella flats!! I cannot tell you how much I love this giveaway! I would get the Casita wedges, since I've been eyeing them for months. I'd love to win the Segment flats in black, they're rather adorable. I love the hazmitten booties, but there are so many cute shoes, it would be hard to choose.